The essential percussion package has been optimized with the closest attention to detail, staying true to the sound with about 300 authentic royalty free samples. This bundle library of Ethnic and ‘Oriental’ grooves contains a wide range of traditional and non traditional grooves and beats from various countries such as Morocco, Egypt, Turkey, Jordan, Yemen, Israel and Greece. The bundle is divided by instrument and style of playing. Darbuka – Goblet shaped instrument, one of the most common and popular percussion instrument used in the middle east. It produces a resonant, low-sustain sound while played lightly with the fingertips and palm. Doholla – A large goblet shaped instrument. It produces a deeper song with a lower sustain then the Darbuka. Doholla beats and patterns are usually based around the bass and deep tone of the instrument. Rick – A type of a tambourine used in Arabic Music. Made out of a wooden frame, jingles and a thin translucent head made of goat skin. Style of playing: Maxum – Very popular Egyptian rhythm. The origin of many oriental grooves and songs. 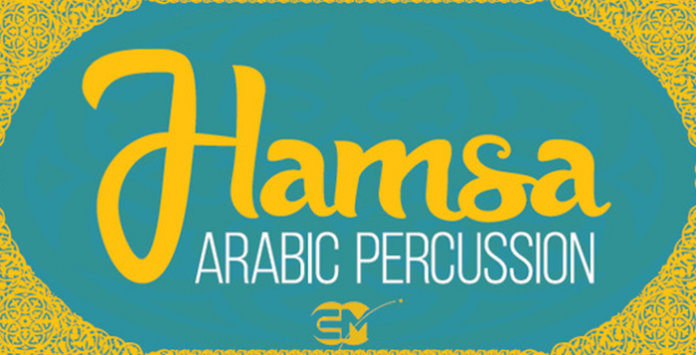 Maksoum is an extremely versatile rhythm – it can be played slow for classical Arabic music and fast for dancing. Fox – A lively dance played on 2/4, commonly used in Turkish and Eastern Europe music. Karatchi – Originaly from Pakistan. A fast rhythm used commonly in modern Egyptian and North African music. Malfuf – Originally from Egypt and Lebanon. Fast 2/4 rhythm often played as an intro for classical orchestral compositions especially created for the belly dancer entrance and exit. Masmudi – The Masmoud are a tribe from North Africa. A very basic rhythm is played in 8/4 in different variations made for solos, rolls and fills. Falahi – Falaah means “country-folk” or “farmer” in Arabic. A very fast rhythm which is used in folk dancing, originally from Egypt. 6/8 (Moroccan) – The Moroccan style is very hypnotic. The patterns usually have an unusual swing, which creates a hypnotic repetitive quality. Fusion – Arabic patterns mixed with a western feel, these patterns were made to fit in easily with western music while adding middle eastern spices.